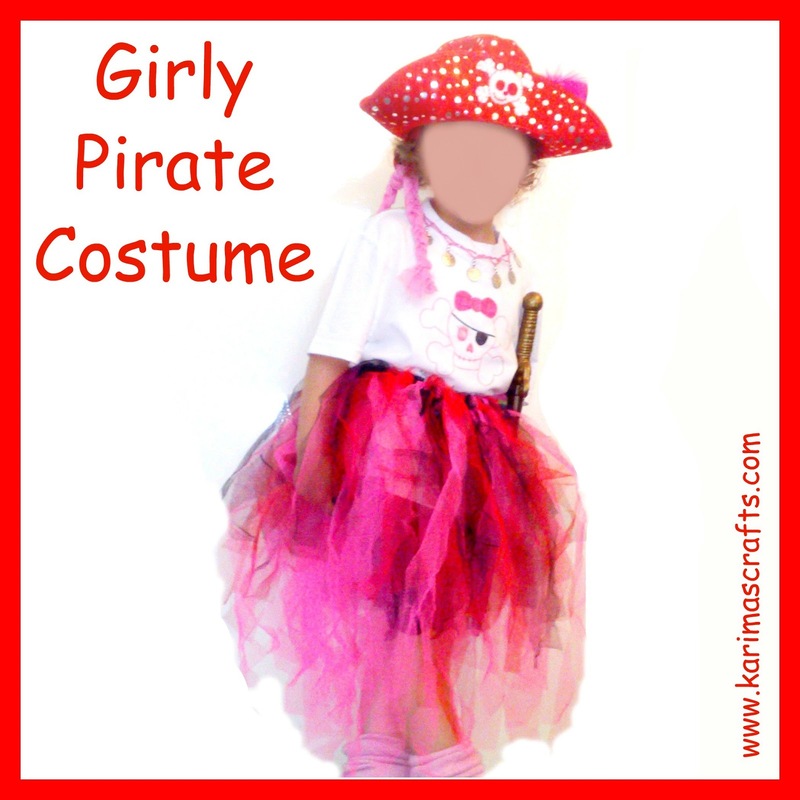 Above is the photograph of my daughter in her 'Girly Pirate Costume'. 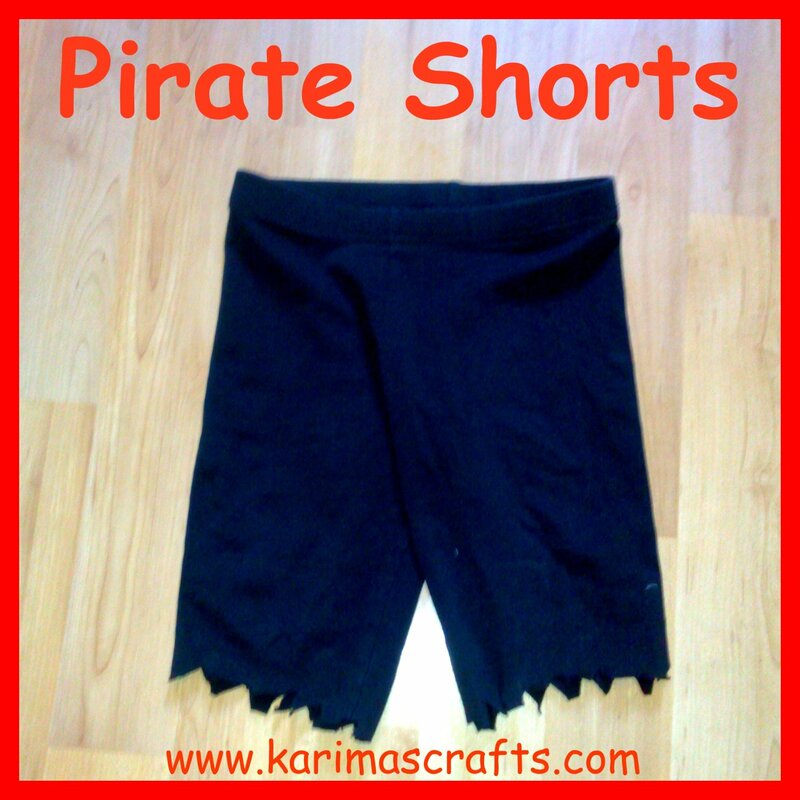 The photograph below shows the pirate shorts that she wore under the tutu, these were originally long leggings that had a hole in one of the legs, but I kept in case I wanted to make them into shorts! 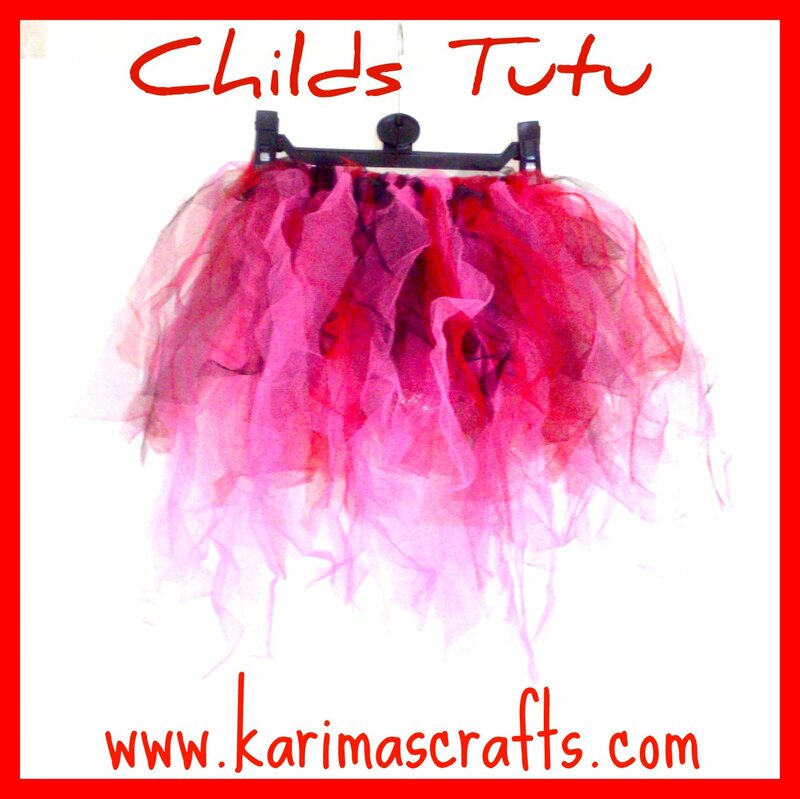 I simply cut them down and gave them a ragged edge, very simple and quick! For the headband I used a red headband that belonged to my eldest daughter. I hand sewed a couple of stitches in the end to make it a bit shorter. 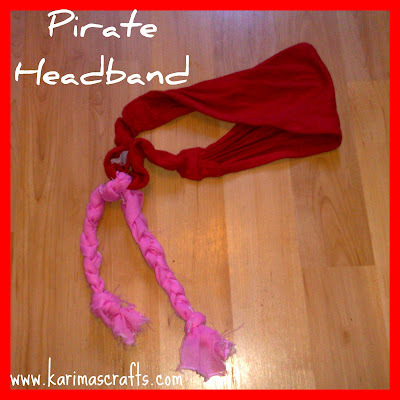 I used 3 strips of pink fabric and fastened them into a long braid. 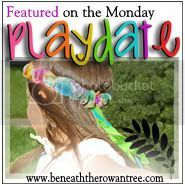 I then placed this onto the red headband. Once she was finished needing this for her costume, I simply unpicked the stitches and my daughter had her headband back to its original form. 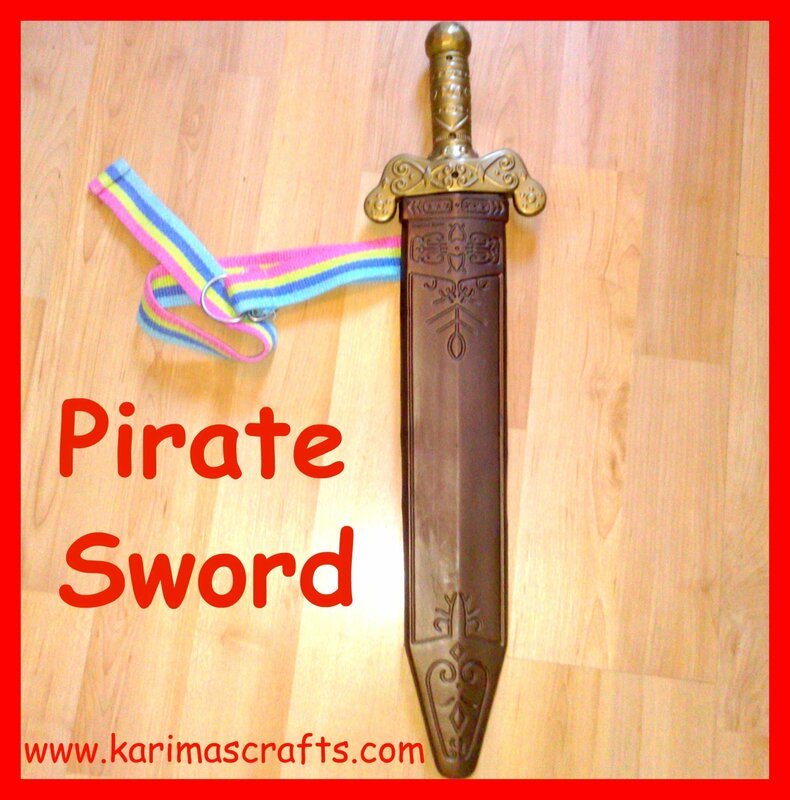 I already had a plastic sword and case in the house which used to belong to my son many years ago. I simply attached a thin belt so that it would fasten around her waist. 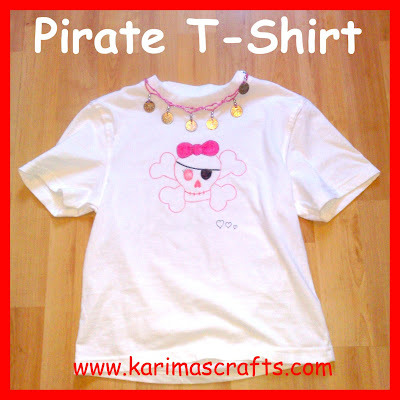 I designed her t-shirt with a cute skull and crossbones design and then sewed onto the neckline some coins on a pink band. The coins were originally from a gypsy belt that we had in the house but had never been used. The coins from the neckline can be easily unpicked so she can wear the t-shirt for everyday use. The photograph below is a photograph of her without her pirate hat. I made a pirate headband because I didn't think she would manage to keep her hat on for long! All the children at the Nursery looked great in their pirate costumes. 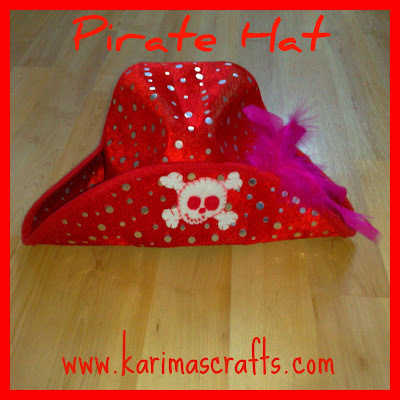 The parents were invited to come along and listen to the children sing some pirate songs and do an obstacle course. She really enjoyed herself and all the children were given a medal for participating, which they thought was great! Following back from the hop and I LOVE this pirate outfit. I am SO going to make this for my daughter!!! Thanks for stopping by. and following me. Follow you now via Facebook! Cute outfit! 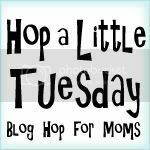 This looks so easy & simple to do! I was totally thinking of dressing up as pirates for halloween this year! I am so glad I found this on your blog. Thanks for sharing! Wonderful job! She's the prettiest little pirate I've ever seen! 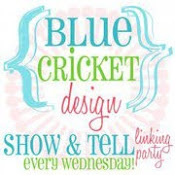 Thank you for linking to Handy Man, Crafty Woman Wicked Awesome Wednesday! Very cute and creative! Thanks so much for your nice comment on my postage stamp quilt too! This is absolutely adorable!! 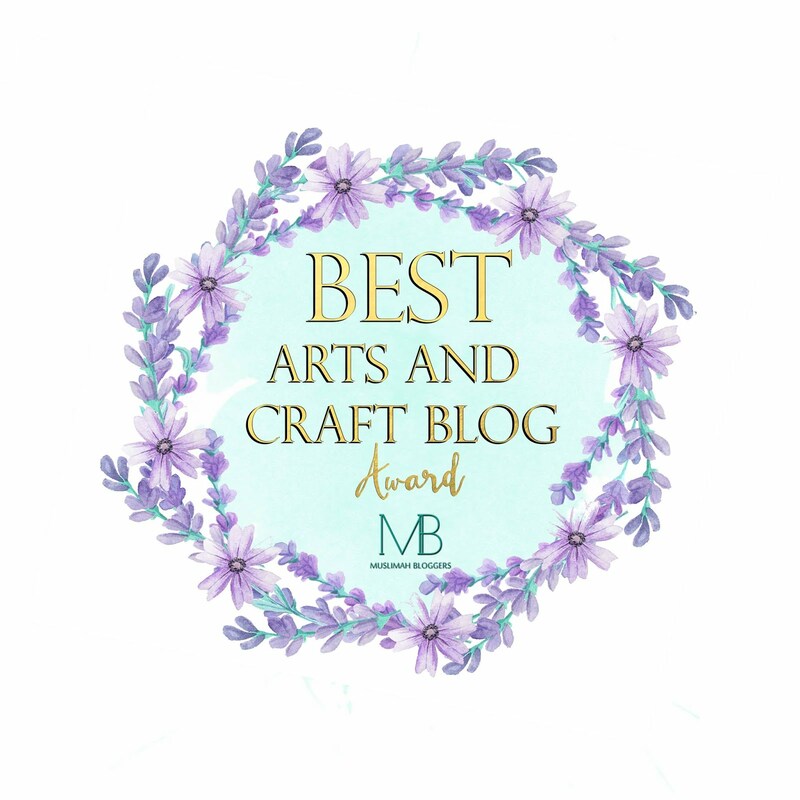 Love your blog and your great creations!! Justed clicked over from Because I'm the Mommy...now following! I love crafting so happy I found you!! 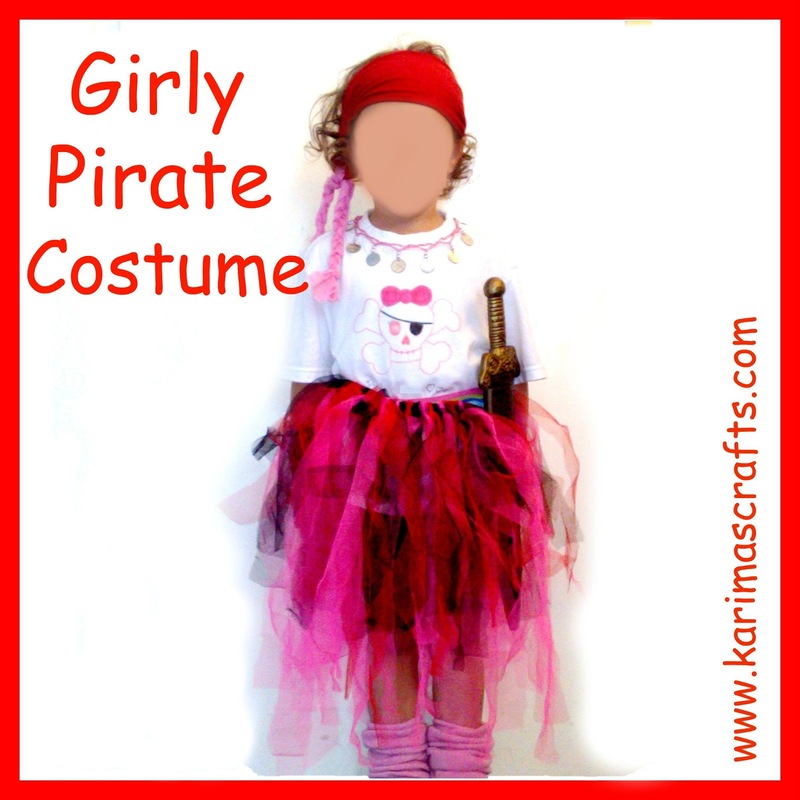 I Love Love Love this girly pirate costume! So different - looks fantastic! that's so fun-great job (: new follower! She looks adorable!! Thank you so much for linking up!